At Halloween we dress up trying to look frightening and spooky. But we know that it is all pretend; there is really nothing to fear. I once heard this expression..."In life, the fears that we cannot climb become our walls." They keep us from experiencing the joys in life that we might experience if we had the courage and faith to surmount them. When I was a child, I had many fears. My father would tuck me into bed at night. We had a ritual. He would listen to my prayers and rub my back. And then he would leave. When he turned out the light, I would see shadows on the wall from the streetlights outside. I would imagine that they were monsters, Dracula, or Wolf man. I would lie there frozen, staring at the shadow not knowing what to do. Sometimes I would call my parents to come back in the room. They'd turn on the light and the monster would disappear. When they'd leave it would be back again. I would say another prayer and then hold my pillow tight and eventually fall asleep. As an adult, I know that those shadows were merely shadows. But as a child they seemed very real and scary. It is usually in hindsight, from a higher perspective, we see the things from our past that frightened us and we know that they were far less threatening than we perceived them at the time. When we let our fears keep us from experiencing love or joy in life, we allow it to control us. What is your worst fear? Most people would say that death is what they fear most. But Jesus told us and showed us that even death does not exist. Life is eternal. A friend of mine called today. She had met a wonderful man from out of town and they had a great time together for a week. He then went back to his home and they emailed a couple of times, but she realized that there was something in her that was holding her back from expressing how she really felt about him and their time together. She was afraid of getting hurt, of rejection, of putting her heart on the line. In the end, she took the risk and moved through her fear. She told him how she felt about him. I wish I could tell you that this couple is getting married or moving closer together, but that is not the case. But by being honest to the man about her feelings, she found out that he doesn't share the same feelings about her at this point. But now she knows and can get on with her life. It was a big step for her to be honest about her feelings--it was empowering and courageous. Don't allow your fears to become walls in your life. If you are afraid of something, shine the light of Truth on it and see it for what it is. 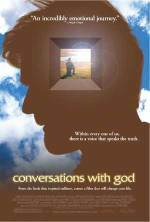 In my last post, I told you about the movie "Conversations With God", which opened yesterday across the country. I hope that you can find it at a theatre near you. If it's not showing at a local theatre, talk to the manager of the theatre nearest you and encourage him or her to get the movie. If enough people ask for it, perhaps they will order it. There is another movie that you can watch online for free. "The Secret" is a hot new film that is not showing in the theatres. 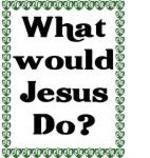 It is being shown in churches and at people's homes and it is changing people's lives. No matter what your goals are--good health, money, relationships, love, the principles for achieving them are the same. "The Secret," which is spreading like wildfire across America, features the stories of many successful people who have used these principles to create a life of abundance. You will find a link to the movie below. Remember, this is a full-length film (108 minutes) so make sure you have set aside the time to view it. Once you start watching you will not want to stop. After viewing the movie, consider purchasing the DVD to show to your friends and family. Many people are holding classes and groups to support each other in using the principles. On November 2, Larry King will interview several of the people featured in this movie on his talk show. Check CNN for the time of his show in your area. Neale Donald Walsch's story is that of a down-and-out man who becomes a spiritual messenger and bestselling author. Adapted from his books that inspired and changed the lives of millions worldwide, CONVERSATIONS WITH GOD, tells the true story of how Walsch (brilliantly portrayed by Henry Czerny) who, at the lowest point in his life, asks God some very hard questions. The answers he gets become the foundation of an internationally acclaimed book series that has sold over 7 million copies and been translated into 34 languages. “This movie is a marvelous illustration of how a life can transform, from something so seemingly hopeless to something miraculously good." My husband and I went to see the movie "Conversations With God" last month when it previewed here in Kansas City. I had read the first book that Neale Donald Walsch wrote and was anxious to see his story played out on the screen. It is a beautiful story that will give hope to many. Walsch was at the screening of the movie along with Roger Simon, the producer. He is a very humble man. You can tell he is really in awe of all that has happened to him over the years. Watch the trailer and then go see this film. It is important that we support these spiritual movies and give Hollywood a message if we want to see more of them. Please tell your friends as well. My husband and I got a call today. A friend of ours is in the hospital after having a heart attack during the early morning hours. Prior to this call, another friend whom I've known all my life, called to catch up and she shared that her husband also had been in the hospital after having a heart attack. This triggered some thinking on my part and the realization that I'm getting...OLDER. I know, consider the alternative. When I was in my 30's, my grandfather was in a nursing home. I went to see him and he was sitting in his favorite old chair looking very pensive. "I don't know how I got to be 83. In my mind I feel like I'm still 30." He shook his head sadly as he considered this. I didn't understand, at the time, how he could possibly feel this way. Now I'm 56 years old. I see Sally Fields on television promoting drugs for osteoporosis. The flying nun is afraid of breaking a hip. My hearing has gotten to the point where I have to wear hearing aids and my husband is being tested for glaucoma. It's all a bit overwhelming. It doesn't matter how old we are though. What matters is that we live each day to the fullest. Those that sit around thinking how old they are don't accomplish much. Grandma Moses didn't start painting until she was in her seventies. 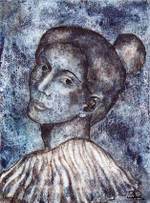 And she had a long successful career as an artist, dying at age 101. My 86 year-old stepmother is getting younger every year. My father passed away four years ago and Frances is out dancing again. She goes to a couple of dances a week and dances almost every dance. She drove 800 miles to Albuquerque with a "girlfriend" to see the balloon festival. And she now has a "boyfriend". He calls her and they talk on the phone for hours. So when I start thinking about how old I am, I think of Frances. After all, in my mind I'm only 30. Maybe I can talk my body into believing it, too. ability do not exist. We are co-creators of the Universe." How would you live your life if you knew that you could not fail? You would move forward with confidence, wouldn't you? You would not lie awake at night worrying about failure or the lack of money. That is the way that we were meant to live our lives, friends. We are co-creators with God. God is the creator and the substance of all things. This substance, the root of which means to "stand under" is our support. With God as our support, what more do we need? As a co-creator, we utilize our God-given ability to manifest out of substance, or God-energy. We mold substance through our faith and creative thought. As we focus our energy and thoughts on our goals, we attract to us more of what we focus on. If you focus on past perceived "failures", fears and concerns, you will continue to draw to you that which you channel your thought energy into. Sit for a few minutes in the silence today visualizing your desires having already manifested. Imagine your mind as a powerful laser beam of God-energy projecting this creation out into the universe, drawing to it all that is needed for it's completion in physical expression. Then, give thanks, knowing that it is done. Someone sent me this and I wanted to share it with you. See if you recognize yourself in either the buzzard, the bat or the bumblebee. Or perhaps you can see yourself in all three. a flight from the ground with a run of 10 to 12 feet. realizing that all we have to do is look up. Sorrow looks back, worry looks around, but faith looks up. What "looking up" represents metaphysically is allowing our consciousness to rise to a higher level where we do not focus on our problems or frustrations, but rather focus on God. Someone sent me a cute music video of a man offering "Free Hugs" in the middle of a city. At first people ignored and tried to avoid him. But then, little by little, an elderly woman and others began to warm to the idea and accepted their free hugs. As time went by, more people got into the act, also offering free hugs. All living beings need to be touched. Research studies found that those infants who were not held and touched as often as others, did not grow as quickly. Another study showed that babies even died that were not touched. I remember hearing how elderly people in nursing homes do not always receive hugs that often and that they craved the touch of others. Many of them are touched only when receiving medical care. If you know of someone who could use a hug, why not reach out and offer one. Or maybe it's you that needs a hug. If that's the case, go to someone you know, spread your arms and say, "I could use a hug." Chances are they will happily oblige. Here is a link to the video. It will take you no more than a couple of minutes to watch. Enjoy!